In my first article in this series, I talked about the various components that make up the Windows Azure Pack and about what the Windows Azure Pack is and what it does. In this article, I want to begin walking you through the deployment process. As I explained in my first article, Azure Pack is basically a front end to System Center Virtual Machine Manager. Even so, that doesn’t mean that Azure Pack gets installed directly onto your Virtual Machine Manager server (although it is possible to share the underlying database server). The Azure pack is a Web application (or rather a collection of Web applications) and therefore needs to be installed on a Web server. There are a number of different ways to install Windows Azure Pack. For the purposes of this article series, I am going to perform a single server deployment. This means that a single virtual machine will be running IIS, SQL Server, and the Windows Azure Pack. I’m not going to worry about walking you through the virtual machine creation process. If you are installing Windows Azure Pack then I have no doubt that you already know how to create a virtual machine. However, I do want to mention that the VM that I will be using is going to be running Windows Server 2012 R2. I also want to mention that your Windows Azure Pack server will need to be joined to the appropriate Active Directory domain. In my own organization, I have created a management domain for my Hyper-V servers. The management domain includes a couple of physical domain controllers, my Hyper-V servers, and my Virtual Machine Manager server. Joining the Windows Azure Pack server to this domain ensures that it will be able to communicate with Virtual Machine Manager and Hyper-V.
Once the new virtual machine has been patched and joined to the management domain, the next thing that needs to be done is to install SQL Server. As you are no doubt aware, Virtual Machine Manager requires an SQL Server instance in order to function. Some administrators simply create a new SQL Server instance on the SQL Server that is already being used by Virtual Machine Manager rather than performing a brand new SQL Server deployment. As I said earlier, I am going to install SQL Server directly on my Windows Azure Pack server. Sure, I could use my Virtual Machine Manager related SQL Server deployment, but my personal preference is to keep the database servers separate. I have found that using separate SQL Server deployments for applications that require them helps me to better keep track of each SQL Server’s purpose. When it comes to installing the Windows Azure Pack, it really doesn’t matter if you decide to place a new SQL Server instance on an existing database server or to create a brand new database server. Either technique will work. For the purposes of this article series, I am going to be using a standalone SQL Server 2012 SP2 deployment running directly on my Windows Azure Pack server. A lot of times when deploying SQL Server, you can get away with using Windows Authentication Mode. In this particular situation however, Microsoft recommends using mixed mode authentication. As such, we are going to need to create a service account that can be used by SQL Server and by the Windows Azure Pack. 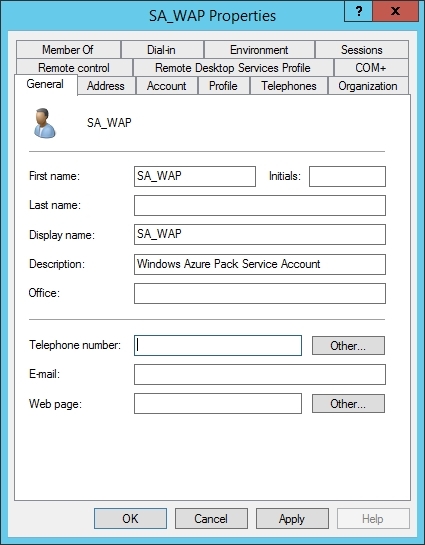 As you can see in Figure A, I have created a domain user account called SA_WAP. There is nothing special about the account aside from the fact that it exists within my management domain and that the password is set to never expire. Figure A: I have created a service pack named SA_WAP. The process of setting up SQL Server is relatively straightforward. 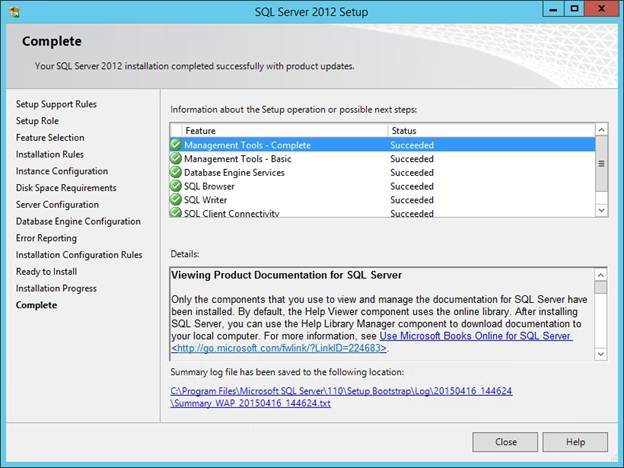 Begin the process by launching Setup and starting a new SQL Server standalone installation. When the Setup Wizard begins, enter your product key and click Next and then accept the license agreement and click Next again. Setup will now copy some files and perform a quick prerequisite check. Assuming that all is well, click Next. 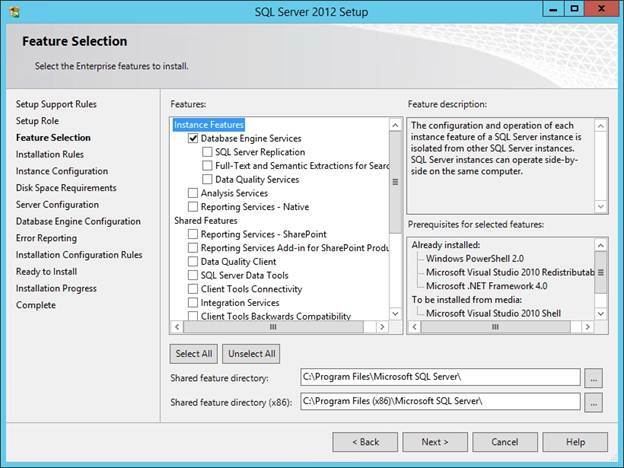 The next screen that you will see asks you what type of SQL Server installation you want to perform. 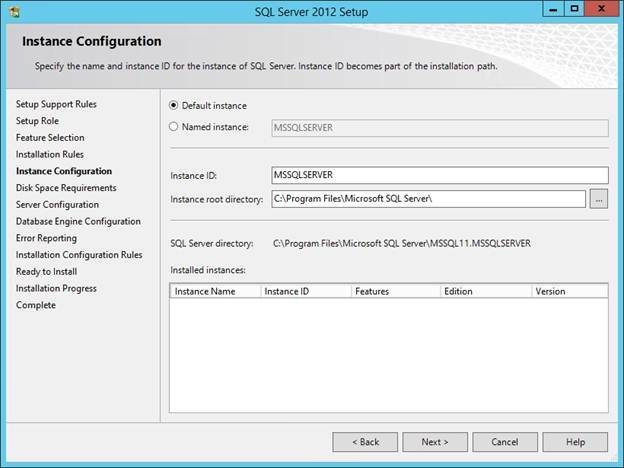 Choose the SQL Server Feature Installation option and click Next. You will now be prompted to choose the components that you want to install. You must install the Database Engine Services, as shown in Figure B. You will also need to install the Management Tools (Basic and Complete). Figure B: You will need to install the Database Engine Services and the Management Tools. Click Next and you will be taken to the Installation Rules screen. You don’t have to do anything here, so click Next again and you will be taken to the Instance Configuration screen. This screen gives you the option of either using the default instance or creating a named instance. Since I am using a dedicated SQL Server installation, I am going to use the default instance (which is named MSSQLSERVER), as shown in Figure C. If you are using an existing SQL Server deployment then you will need to create a named instance. You might for example, name the instance WAP. Figure C: I am going to use the default instance. Click Next and Setup will verify that your server has the required amount of free disk space. Assuming that everything checks out, click Next to go to the Server Configuration screen. When you reach this screen, you will need to specify your previously created service account should be used for the SQL Server Agent and for the SQL Server Database Engine. Be sure to enter the password for the service account, as shown in Figure D.
Figure D: You will need to specify your service account. Click Next and you will be taken to the Database Engine Configuration screen. Here you will need to choose the Mixed Mode Authentication option. 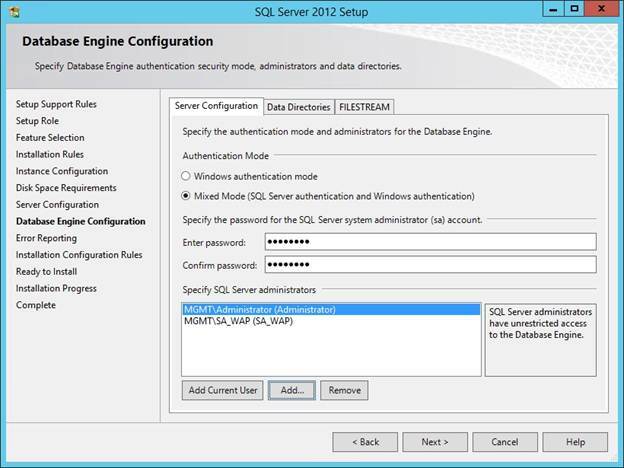 In doing so, you will need to assign a password to the SQL Server Administrator (SA) account. 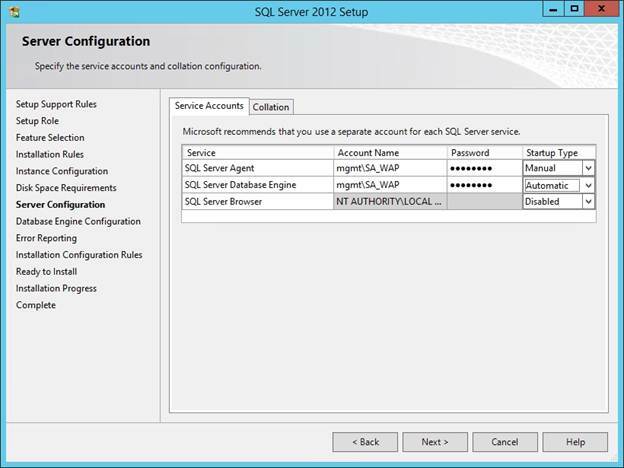 You will also need to add the domain admin and your service account to the list of SQL Server administrators, as shown in Figure E.
Figure E: You will need to assign an SQL Server Administrator password and add the service account and the domain admin account to the list of SQL Server administrators. Click Next and you will be taken to the Error Reporting screen. You don’t have to do anything here, so just click Next. Click Next again on the Installation Configuration Rules screen and then click Install. Figure F: The SQL Server instance has been installed successfully. Now that the SQL Server instance has been installed and configured, it is time to move forward with the Windows Azure Pack deployment. I will be covering the Windows Azure Pack deployment process in detail in the next article. In the meantime however, I recommend going ahead and downloading the Windows Azure Pack binaries so that you will be ready for the next article. The downloads are available here.